Toyota announces recall 'fix' | What Car? Toyota has said it has a 'comprehensive fix' for the 'sticky accelerator' pedal problem that has resulted in eight models being recalled across Europe. The manufacturer has confirmed that its engineers have developed and tested a solution that will eliminate the risk of the accelerator becoming stuck open in the affected models. 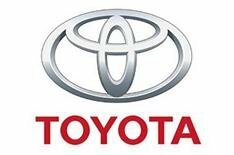 Parts for the 'fix' should start to arrive in Europe next week, and Toyota says plans to contact all owners affected by the recall are being 'put into place'. Click here see how the problem is fixedWhat is the problem and fix? The 'sticking' accelerator problem involves a friction device in the pedal that is designed to make the pedal feel steady and stable. The device has a shoe that rubs against an adjoining surface during normal operation, but due to the materials used, wear and environmental conditions, these surfaces could begin to stick and leave the throttle partially open. It is estimated that up to 1.8 million vehicles could be affected by the European recall, but Toyota says that no Lexus or other Toyota models are involved.